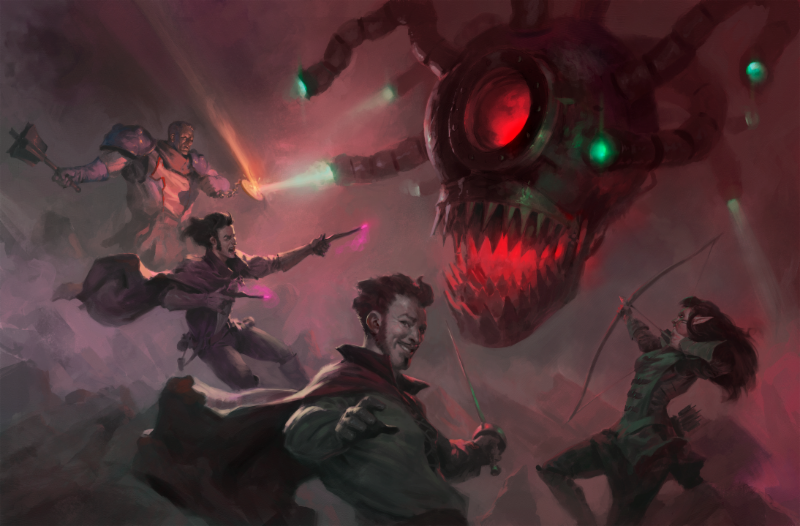 SEATTLE – MARCH 28, 2018 – Acquisitions Incorporated, the official third-party Dungeons & Dragons sourcebook from Penny Arcade and Wizards of the Coast, brings hilarious fantasy antics straight to players’ homes June 18. Now, with the 224-page sourcebook, Dungeon Masters and players alike can experience the uproarious exploits of Acquisitions Incorporated in their own game. New spells, a new race, and introducing character positions mean it's easier than ever to join the company and take part of this universe. Want to jump in headfirst? The book also includes an adventure module so players can get started right away. "Being able to give back to the game that I’ve been playing most of my life is incredible,” said Jerry Holkins, co-founder of Penny Arcade. “I can't wait for players to join my friends and I in Acquisitions Incorporated, not just because it's a book and a world we're very proud of, but also because my character gets a cut of their earnings." For further information, visit Penny Arcade’s official website or follow Penny Arcade on Twitter, Facebook, or Instagram. For more information on Acquisitions Incorporated, the D&D sourcebook, please go to the official website.